A complete armored look requires many things, like a breastplate, bracers, pauldrons, a tasset, and, of course, greaves. 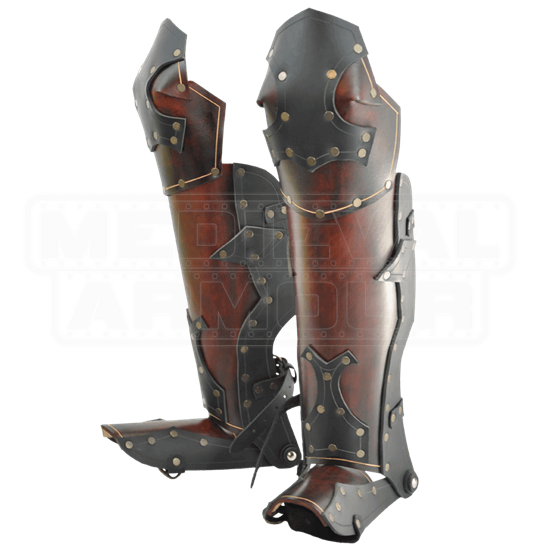 These Paladins Greaves will not only keep your legs protected, but they will do so while making you look like a regal warrior. These greaves combine quality leatherwork with a knightly style that makes them rich and ornate yet lightweight. They consist of quality leather plates that are molded to protect the lower legs, while also featuring leather sabatons to cover the feet and poleyns to cover the knees. 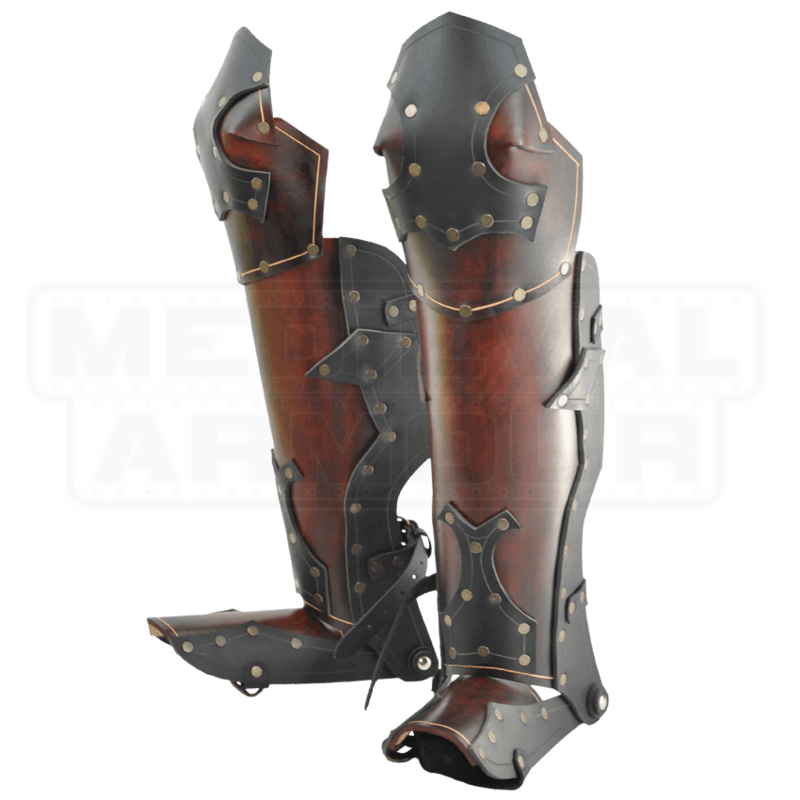 Beautifully handcrafted, these pieces of leg protection feature stunning leatherwork done in rich shades of wood-brown with black adornment and reinforcement. They come in one size, although the belts on both the greaves proper and the sabatons ensure that they are highly adjustable and can be worn with a variety of different styles of pants, padded leg protection, and footwear. A leather strap and side buckle is also featured to help secure the greaves to your shoe. A true paladin knows that being fully armored in war can mean the difference between life and death, and when you march onto the battlefield wearing these Paladins Greaves you will know why, as they can help deflect a blow and keep you in the fight for goodness.